Sydney is famous for its spectacular sites, its harbour, the food, and of course, the shopping avenues that it offers. 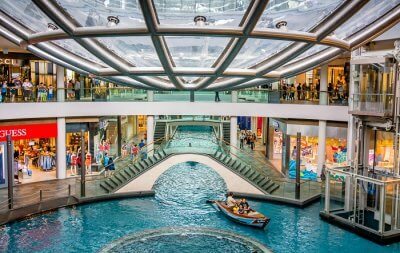 While it may just be the most exciting place to shop in the country, it is dynamic, constantly changing, and always has something new for tourists. 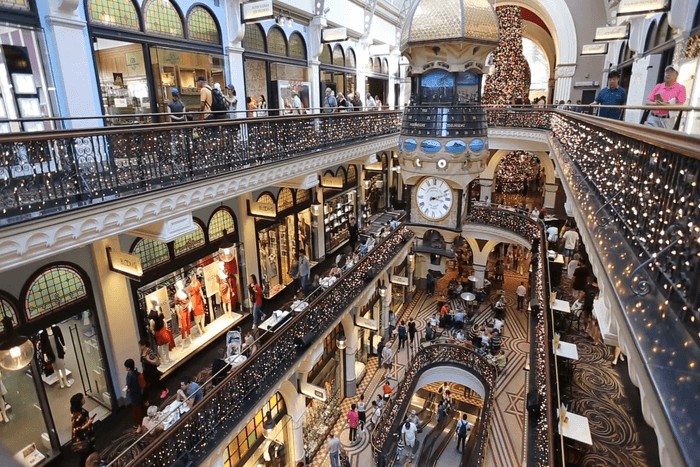 So, for all those looking forward to exploring this lively city, take a look at the best places to go shopping in Sydney. They are a blend of luxury and budget, modern and vintage, and fresh and antique. 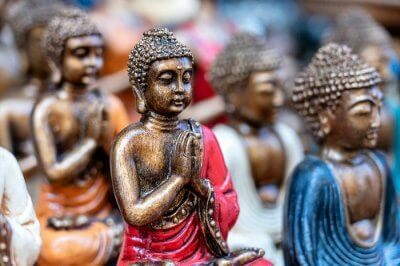 Some centres are mall perfect for a family outing, while there are some street markets perfect for those who like to roam about in the city! 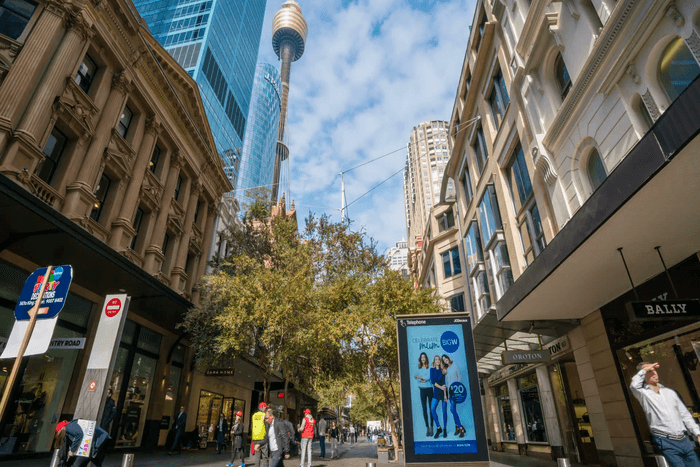 Browse through our list of areas that offer the best shopping in Sydney, and add the ones you like best to your itinerary! 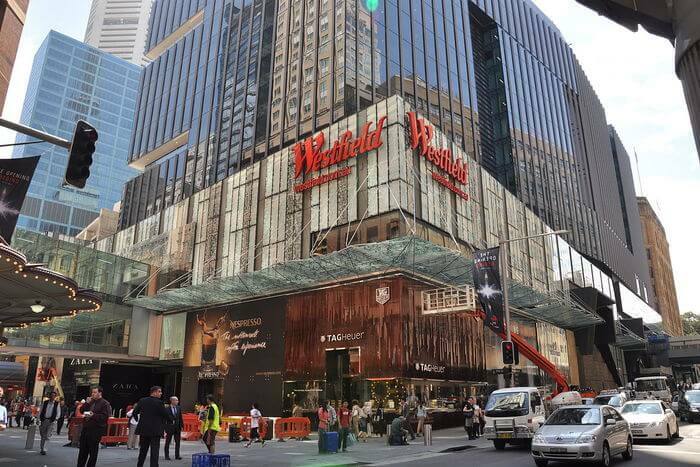 With the best variety of food, fashion, entertainment, and lifestyle, all in one place, Westfield is one of the best shopping centres in Sydney. 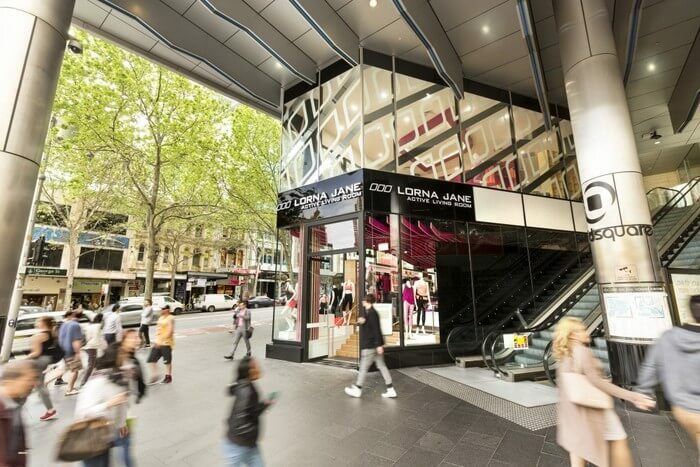 For those looking for shopping in Sydney CBD, this is the obvious choice, as it is located in the heart of the city. It also has an assortment of brands from the large ones, to the local Australian brands. 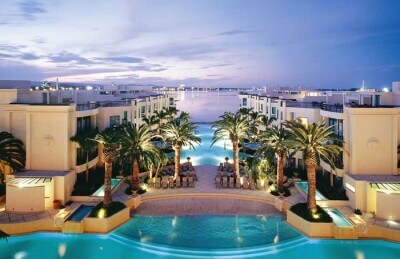 Must Read: 5 Best Resorts In Sydney: Perfect Stays For A Great Vacation! 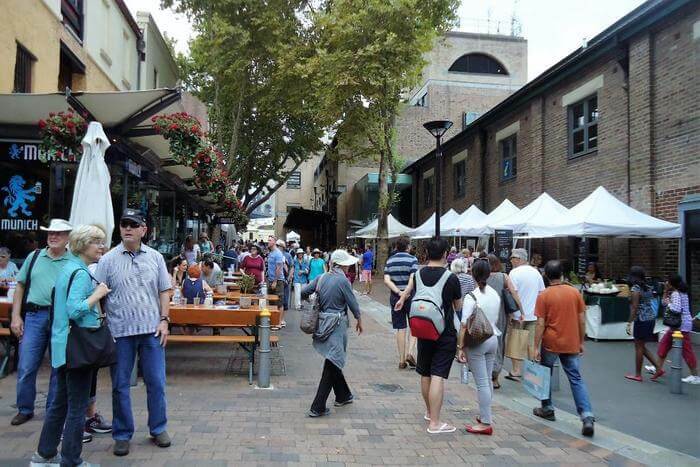 One of the best places for weekend shopping in Sydney, the Rocks Market is a market that is charming to say the least! The cobblestone lanes are lined up with vendors that offers everything from fruits and vegetables, to clothes and souvenirs. Artists find this atmosphere to be creative, and you may find some of them sitting to sketch a scene, or maybe even portray their work! Specialising in beauty and fashion, the Strand Arcade is flocked by tourists and locals alike. The centre is known for its Victorian architecture, which spells out elegance and style, as do the brands that have stores inside. Another shop that is worth a mention here is Haigh’s Chocolate, which is a famous gourmet brand in Sydney. Suggested Read: Sydney Nightlife: 15 Places That Bring This City To Life At Night! The Queen Victoria Building is one of the most famous centres for some luxury shopping. With most of the shops here offering exclusive designer products, it is one of the best boutique shopping in Sydney! 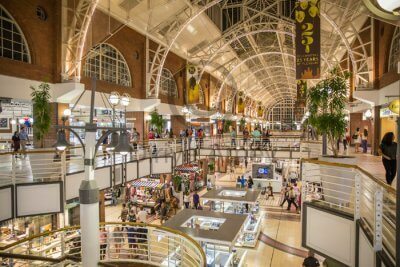 Along with high end shops, the centre also has fine dining restaurants and some art galleries, making it perfect for a date, or some fun time with your girlfriends. 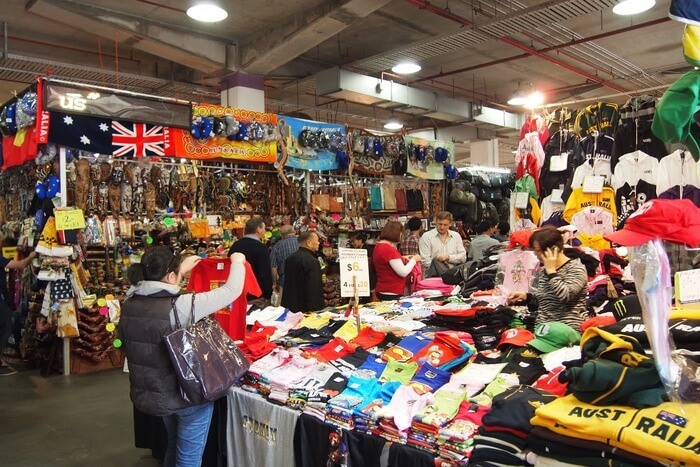 A quirky flea market, Paddy’s Market is the best place for some cheap clothes, souvenirs, and antiques. 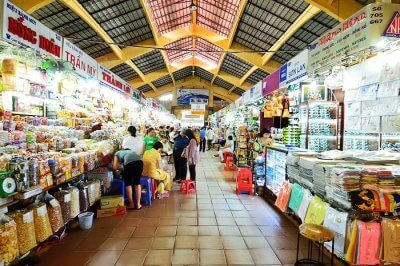 The market also has a food section which has excellent fresh produce of fruits and vegetables, and also meat and seafood! 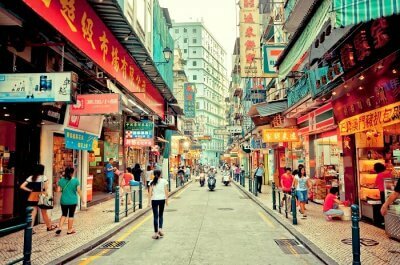 It is popular amongst tourists because of its fun vibe and atmosphere. World Square is one of the busiest areas of Sydney. Packed with offices, it is also one of the popular shopping centres in the city. Food, shopping, and work, all in one place, it is especially loved by the locals. The area boasts of a vibrant atmosphere, and a fun entertainment centre. Looking for some cheap shopping in Sydney? Head to the Pitt Street Mall! Perfect for some brand shopping, as well as some souvenirs, this place gives the true vibe of the city. Buzzing with locals and tourists, it is a fun place to visit. You may even get to be audience to some great street artists here. 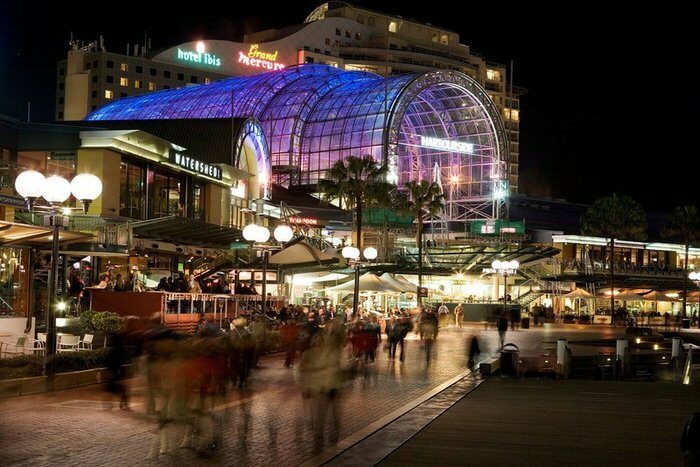 Located in Darling Harbour, the Harbourside Shopping Centre is a fun place to shop at. Packed with stores from fashion to lifestyle, and also with bowling alleys, cinemas, and more, it is an ideal weekend destination for families, as well as friends. Tourists often come here for the nightlife, as the view from some of the restaurants here is spectacular. 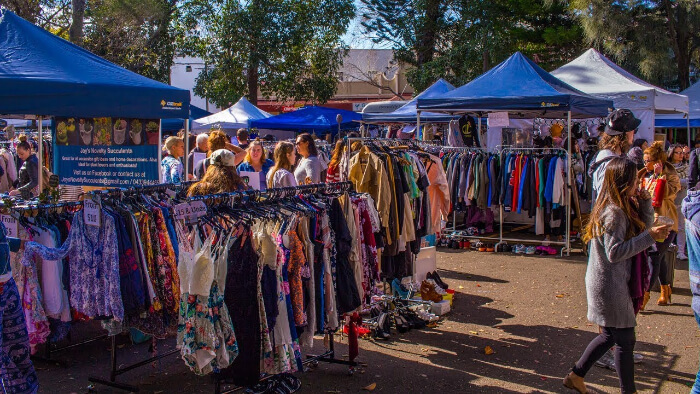 Another weekend market popular among the locals is the Glebe Market. People from all around gather here and offer the most diverse catalogue of goods from fresh produce to clothes, old records to antiques, and souvenirs to books! It has such a reputation that is famed for being one of the best vintage shopping areas in the city. 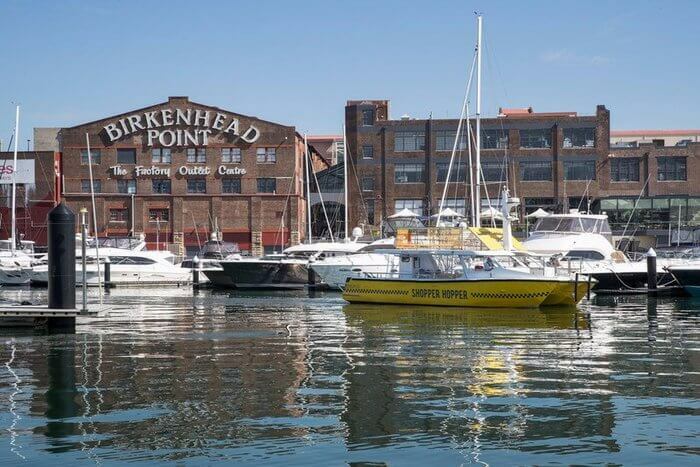 Set out near the harbour, Birkenhead Point Outlet Centre is perfect for those looking for a day out. For those who want to enjoy a little outlet shopping in Sydney, this is the place to be! You will find some of the world’s best brands here, offering exquisite merchandise at the best ever price! There you have it! 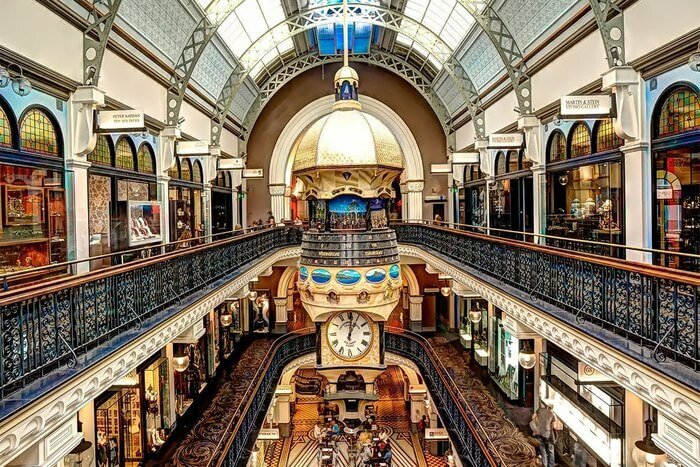 The best shopping areas in Sydney. Pick out the best and don’t forget to add them to your plan! We hope your trip to the spectacular Sydney turns out to be a happy and memorable vacation.